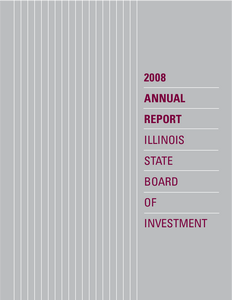 Description: Annual Activities of the Illinois State Board of Investment. 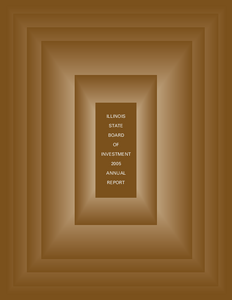 The Illinois State Board of Investment (ISBI or Board) is responsible for investment of the pension assets for the General Assembly Retirement System, the Judges Retirement System of Illinois and the State Employees Retirement System of Illinois. 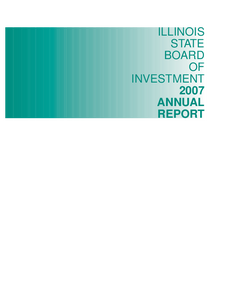 The fair value of ISBIs net assets totaled $11.3 billion at fiscal year ended June 30, 2008. 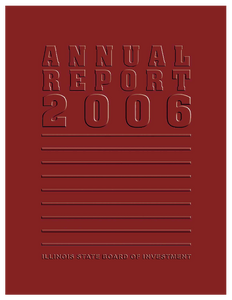 For the same period ending June 30, 2007, net assets totaled $12.6 billion. Consistent with other investors, institutional and individual, this period was a very difficult time for ISBIs portfolio, although the Boards portfolio construction and asset allocation did mitigate, to some extent, reductions in the portfolio value. 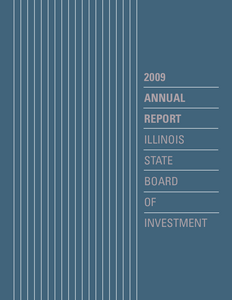 Description: Annual Activities of the Illinois State Board of Investment. 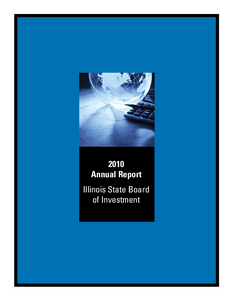 The Illinois State Board of Investment (ISBI or Board) manages the investment of pension assets for the General Assembly Retirement System, the Judges Retirement System of Illinois and the State Employees Retirement System of Illinois. 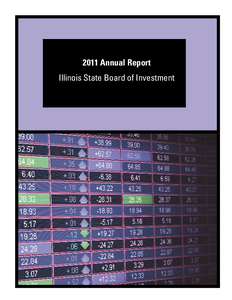 The fair value of those assets totaled $11.5 billion at fiscal year ended June 30, 2011. Description: This pamphlet is a guide for reporting and the disclosure of information on Schedule A-1s, a special, stand-alone report required for larger contributions received prior to an election. Description: JUSTICE BURKE delivered the judgment of the court, with opinion. Justices Freeman, Thomas, Garman, Karmeier, and Theis concurred in the judgment and opinion. Chief Justice Kilbride dissented, with opinion. Pursuant to 1982 legislation, portions of each motorcycle registration fee began to be set aside and placed in the state treasury to fund a motorcycle safety training program under the Cycle Rider Safety Training Act. 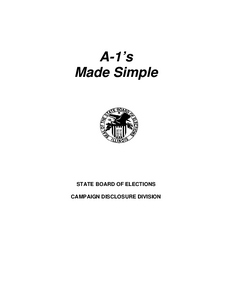 Effective January 1, 1993, the amount set aside for this purpose was increased to be the total amount of each fee, and the monies were stated to be placed in a trust fund outside of the State treasury. Description: Appellate citation: 374 Ill. App. 3d 743. JUSTICE KILBRIDE delivered the judgment of the court, with opinion. Chief Justice Fitzgerald and Justices Freeman, Thomas, Garman, Karmeier, and Burke concurred in the judgment and opinion. In 2004, a 15-year-old who had a history of drug abuse died of cocaine and opiate intoxication. Description: This pamphlet provides general information regarding the correct procedures to follow in order to vote by absentee ballot. Description: Justice Thomas delivered the judgment of the court, with opinion.Chief Justice Fitzgerald and Justices Freeman, Garman, Karmeier, and Burke concurred in the judgment and opinion. Justice Kilbride took no part in the decision. 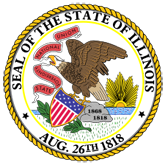 This cause is before the Illinois Supreme Court on review of the granting of summary judgments for the defendants. No trial has occurred. Agency ID: 105789 and 105851 cons.